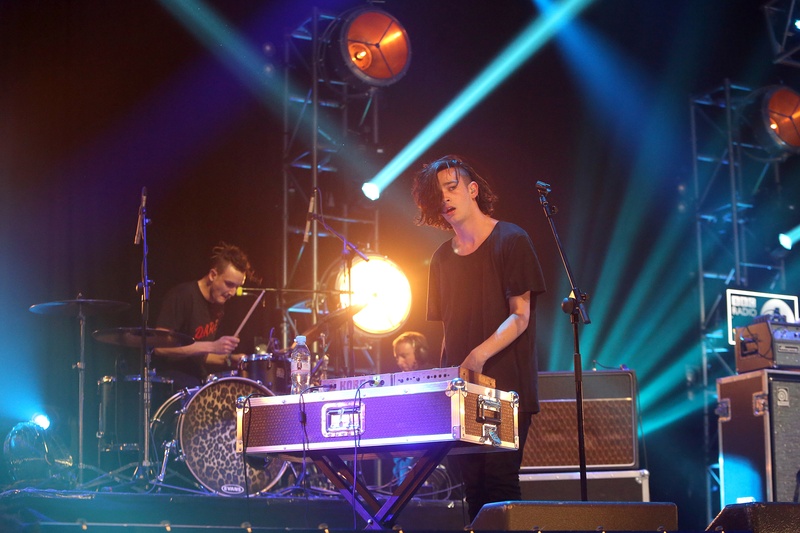 The 1975 stopped by Radio 1's live lounge today for a chat and, of course, the now mandatory cover version. Firstly, those lovely pop punk characters All Time Low woke up Matty Healy during Nick Grimshaw's Breakfast Show where he revealed that they would be covering "Sorry" by Justin Bieber. He's always an entertaining interview isn't he? Then, a few hours later, the boys took over the studio to perform really rather good pop bop "The Sound" and an excellent funked-up, D'Angelo style take on the Bieber track. Did You Spot This Mistake On Justin Bieber's GQ Cover? Halsey Channels Her Inner Bieber And Sings The Sh*t Out Of "Love Yourself"